Watch thousands of TV shows, movies and more wherever, whenever! As part of its #LovetoClick promotion, Citi is teaming up with iflix to offer their cardholders unlimited access for three whole months on Southeast Asia’s leading Internet TV service. Now you can invite your family or friends for an exciting entertainment marathon with a vast selection of first-run exclusives, award-winning movies and shows, plus the best in local and regional programs on iflix. You can also catch up on your favorite TV shows, cartoons, comedies, or dramas on the go with iflix’s “download/watch offline” feature, or stream from your laptop, tablet, or mobile phone. 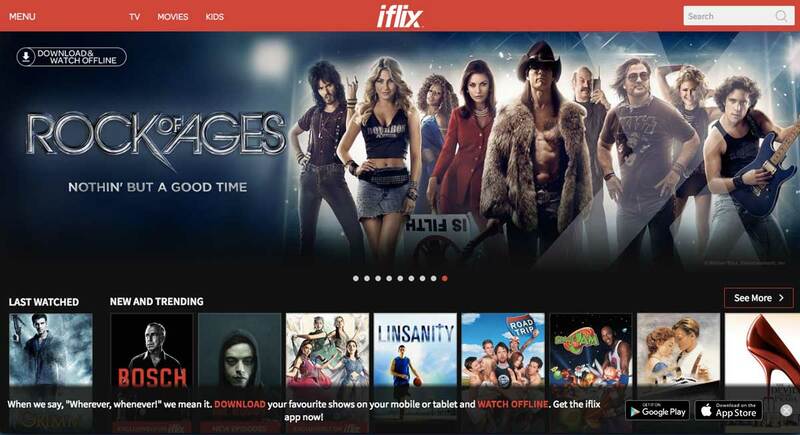 Watch your favorite movies and TV shows at www.iflix.com. To access this very special promotion, first-time users need to create an account through www.iflix.com to receive three-months of unlimited access along with a one-month free trial, courtesy of Citi. For Citi cardholders, who are already registered, login through your Facebook or email account for your three additional months of iflix, courtesy of Citi. How do you avail of unlimited access? Redeeming vouchers is just as easy! Input the voucher code “CITI” plus the first six digits of your Citi card (ex. “CITI 123456”). Click “submit” to start your three-month unlimited iflix access. Upon entering the code, users will then be directed to the homepage. To confirm the successful redemption of the voucher, go back to “Menu” and check under “My Account. This latest perk from Citi will allow cardholders to enjoy iflix’s world-class service, including access to one of the largest TV and movie libraries in the region. This promotion is valid only until August 7, 2016, so hurry and take advantage. For more information on this promotion, and to know more about other online privileges exclusive to Citi cardholders, log on to www.citibank.com.ph/lovetoclick or call the 24-hour CitiPhone at 995-9999.